Sew what's cooking with Joan! 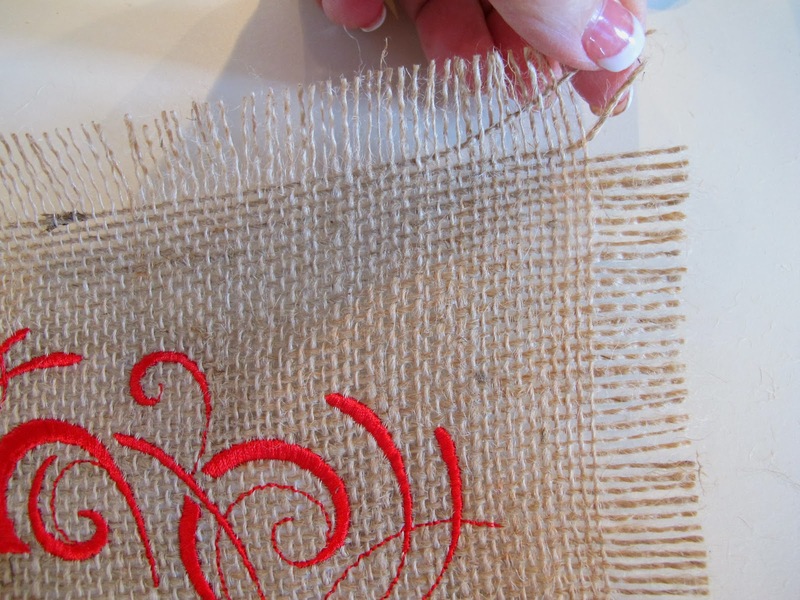 : How to make Burlap place mats! Valentines or any day! 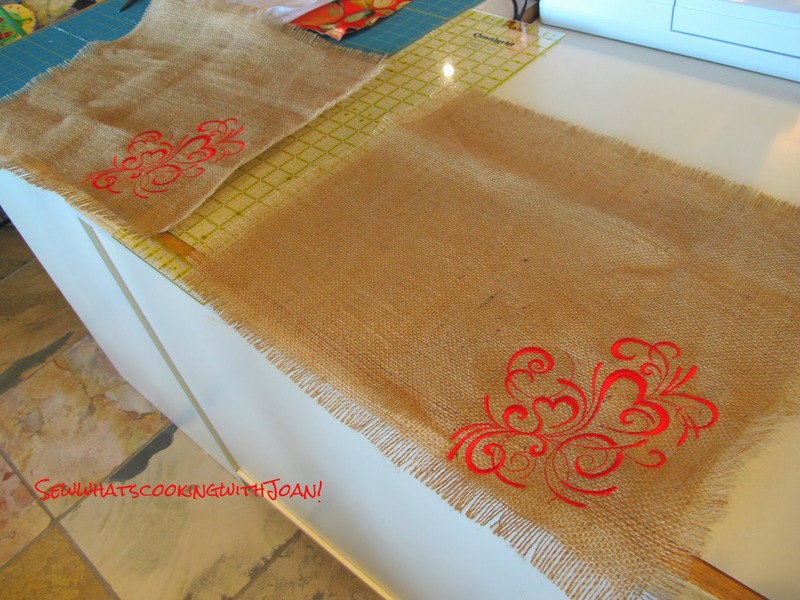 How to make Burlap place mats! Valentines or any day! I love the rustic natural look of burlap, and it seemed to fit perfectly into our island paradise cottage look. So, before we left Seattle amongst lots of other Valentine projects for my Grandchildren I whipped up these beautiful place mats with matching cocktail coasters. 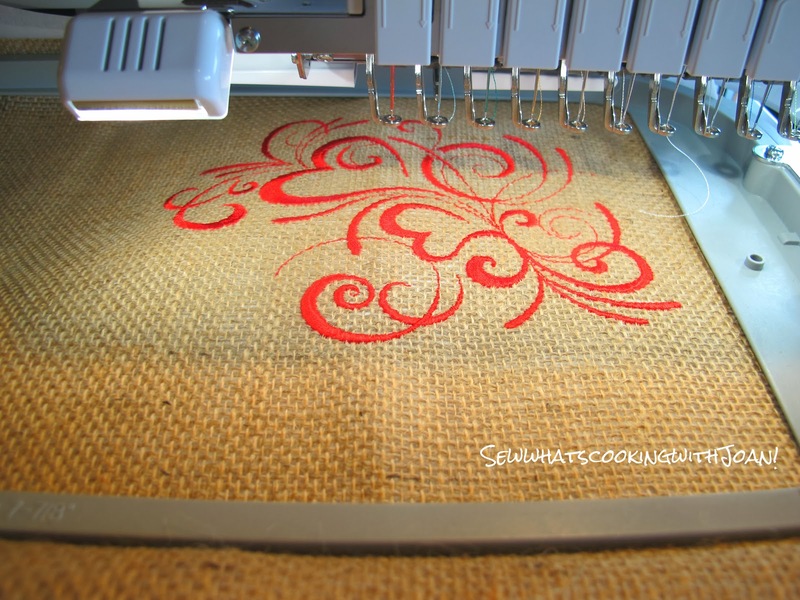 You can embroider, stencil or paint a design onto the burlap. I love adding a personal touch to my table settings and you can easily do this!! Really! Burlap is easy to work with, but it does shed. Don't wear your favorite sweater or work out gear while making these. Here is my DIY (do it yourself) steps to make your own place mat's quickly by Valentines day or for every day. 1. 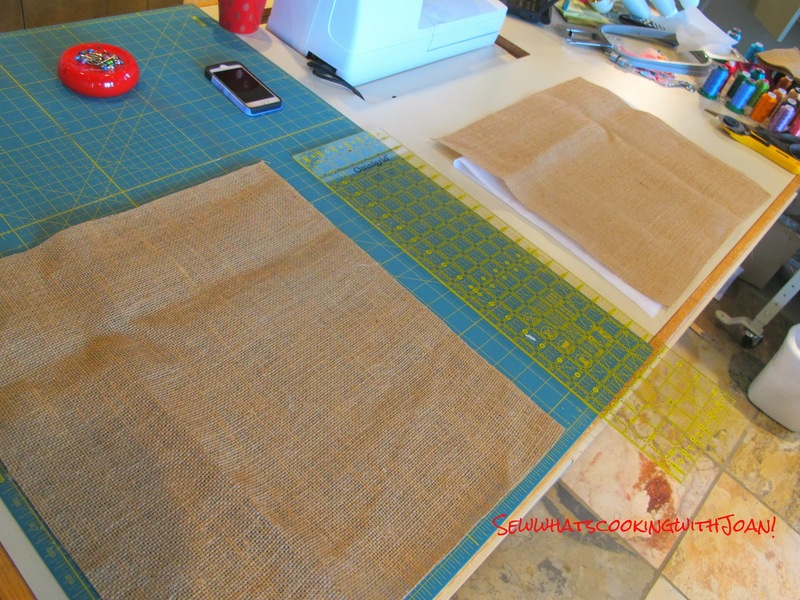 Cut the size you want your place mat to be out of the burlap fabric. Typically 18.5″ x 12.5″ or 15"x20". 3. Fray the edges and stabilize once it is frayed to your desired length. You can stabilize using a zig zag stitch on your sewing machine or use fray check available at Michael's or JoAnn fabrics (a glue that prevents fabric from fraying). Feel free to use your creative juices and embellish them any way you want. The place mat is so easy and allows for lots of creativity and versatility, so have fun with it! Think of the possibilities, Thanksgiving you could make these rustic place mats or a table runner! I had a good laugh a couple weeks ago, when I was making these. I posted the pic with the burlap hooped and on my embroidery machine, on my personal Facebook page. I asked, "what do you think I'm making?" My daughter quickly comes back with, " personalized gunny sacks for races on the beach!" She is so clever!! Hahaha, everyone got a good laugh! 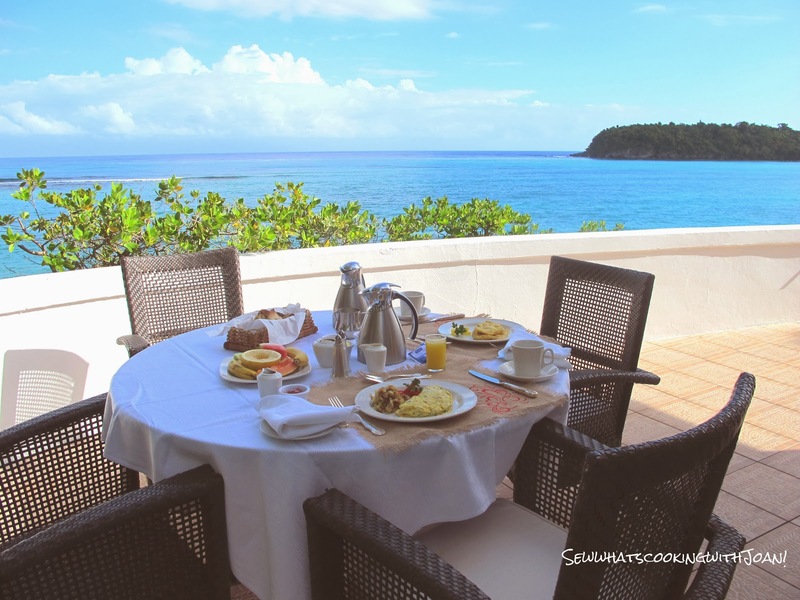 I hope you will enjoy these beautiful place mats as much as I am here in Jamaica Inn! 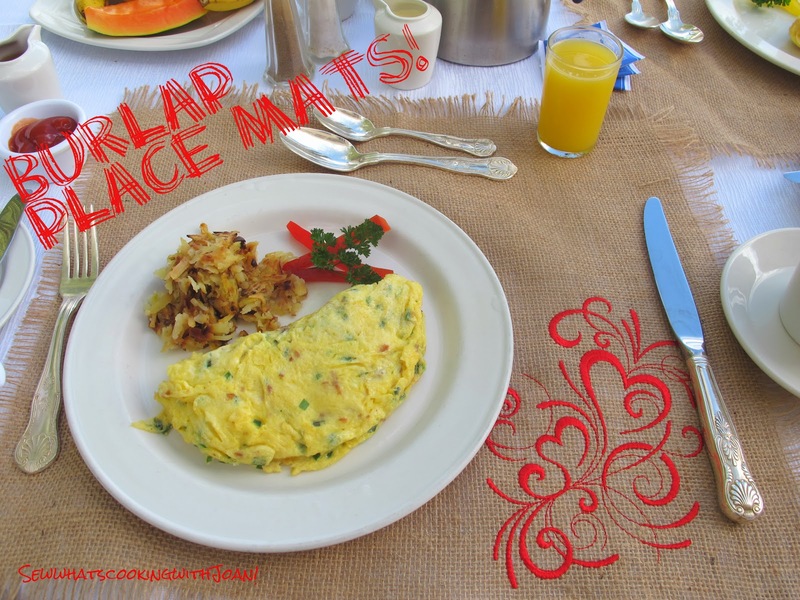 Our breakfast looks even more appetizing with these lovely place mats behind it.